The search for a sailor who disappeared on Wednesday in Motovsky Bay from a small-sized vessel continues. This was reported to Interfax by the head of the Northern Expeditionary Emergency Rescue Team (Northern EO ARS) Anatoly Leontiev. “The search works in the Gulf of Motov continued today with the dawn, three small vessels of the” Russian Sea – Aquaculture “and our rescue ship” Atria “are already involved,” Leontiev said. According to him, at the Murman coast at the present time, the wind is 15-17 m / s in gusts. 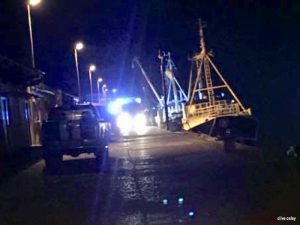 “If we assume that the missing person is still alive, he was carried into the open sea by the southern wind, and the chances of surviving are small,” the source added. 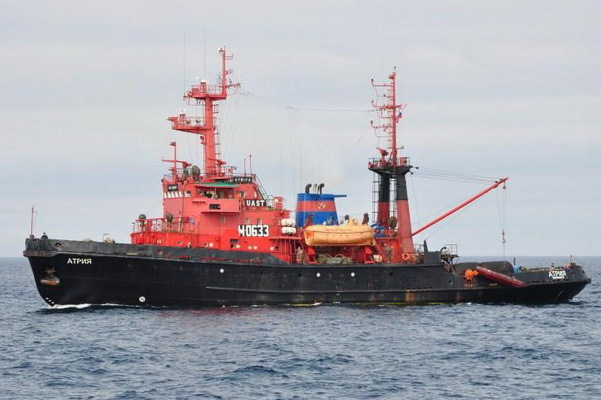 As SKSR Rosmorrechflot reports, at 11:00 on February 14, the Moscow CCM Murmansk reported that at 10:00 on February 14, it received a message from the private owner of the small vessel R6301ML Calypso, the flag of Russia, the port of registration of Ura-Guba, registered in the State Inspectorate of the Ministry of Emergency Situations that at the transition from the mouth of Ura to the mouth of Titovka, at 5:45 in the Barents Sea, Motovsky Bay, near the island of Bolshoy Arsky, the sailor of 1995 b. fell overboard. The attempts made by the captain to find the fallen positive results were not given. The vessel followed the port of Ura-Guba, where, upon arrival at the port, the captain of the incident informed the ship-owner. The shipowner informed the Ministry for Emergency Situations, the FSB of the FSB, and the Murmansk MRCC. A thorough search was conducted in all the given areas and did not give positive results. At 17:00 in connection with the onset of the dark time of the day, the lack of a probability of survival under given hydrometeorological conditions and since there is no longer any reasonable hope for the rescue of the missing sailor, the Murmansk MRCC decided to stop the search.